A rare combination of Citrine and Pyrite used not just only for abundance but also for many other things. 1- Attracting infinite wealth and abundance 2- Attracting success in terms of money 3- Helps you in your career growth 4- Heals all your money related problems 5- Heals your bad money karma 6- Heals your loans issues 7- Helpful in attracting new opportunities in your life. 8 -Boosts your will power & confidence 9- Used for self-protection & safety 10 - Helps you in coming out of all problems by showing miraculous path by Angels & intuition 11- Heals your negative thoughts & worries 12- Helps in goal manifestation of your positive thoughts 13- If you are seeking a job or career growth then its a must buy a bracelet. 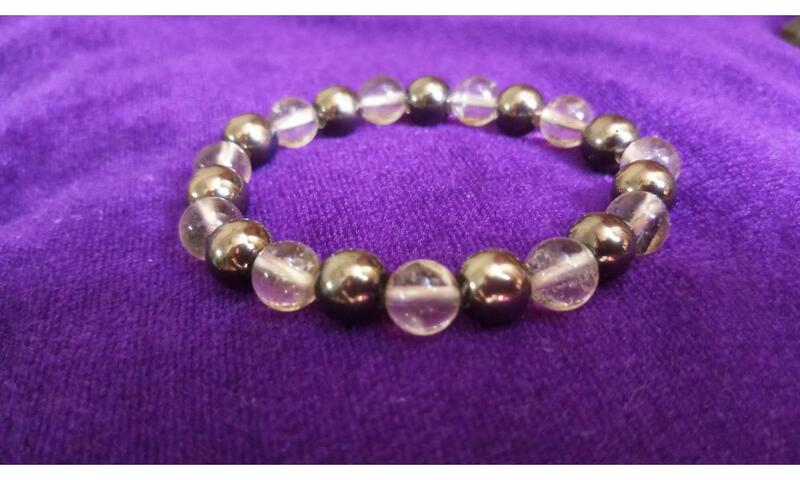 A rare combination of Citrine and Pyrite used not just only for abundance but also for many other things. 7- Helpful in attracting new opportunities in your life. 13- If you are seeking a job or career growth then its a must buy a bracelet.